Born in 1952, he studied composition at the Seoul National University (BM) and at the University of Michigan (MM). Utilizing many elements from Korean traditional music he has been producing works since 1980s, most of which sound uniquely Korean. 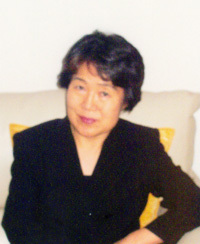 He is currently professor of composition at the Korean National University of Arts School of Music. Some of his works are Hahn for Orchestra, Shinawi No.5 for Orchestra, Children’s little Sanjo for Piano and Orchestra, Piano Sanjo No.2, Shinawi No.7 for Flute, Cello and Harp and so on. Etudes were written in 1990s. Although they are studies for children, most of them were not only intended for the technical purpose but also as artistic compositions performable at the concert. Many of them are based on modern Korean children’s songs. And rhythms and modes from Korean traditional music were also used in some of them. Etude No. 14 begins with a rather technical and prosaic motive borrowed from the Etudes by Hanon which used to be studied widely by Korean children in the 1960s and 1970s. Etude No. 50 is based on modern Korean children’s song titled Usan(Umbrellas). The whole tune is not heard continuously but fragments of it are scattered here and there mostly in the left hand. Korean folk tune, Arirang is used as a theme in this music. The melodic and rhythmic characteristics of Arirang are various in different localities. Kynggi Arirang is cheerful, Kangwon Arirang (consisted in five beats) is aggressive on the other hand. Both tunes are presented in the beginning and middle sections with it's variations. Mostly the rhythmic characteristics of the tunes is represented in the piano accompany and improvised like sections are appeared in both parts. This music was written in 2004 for the Sejong Music Competition. 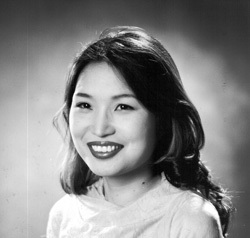 This piece was composed in 2004, especially for the First Sejong Music Competition. The theme is based on a Korean art song, Sarang by Nanpa Hong.